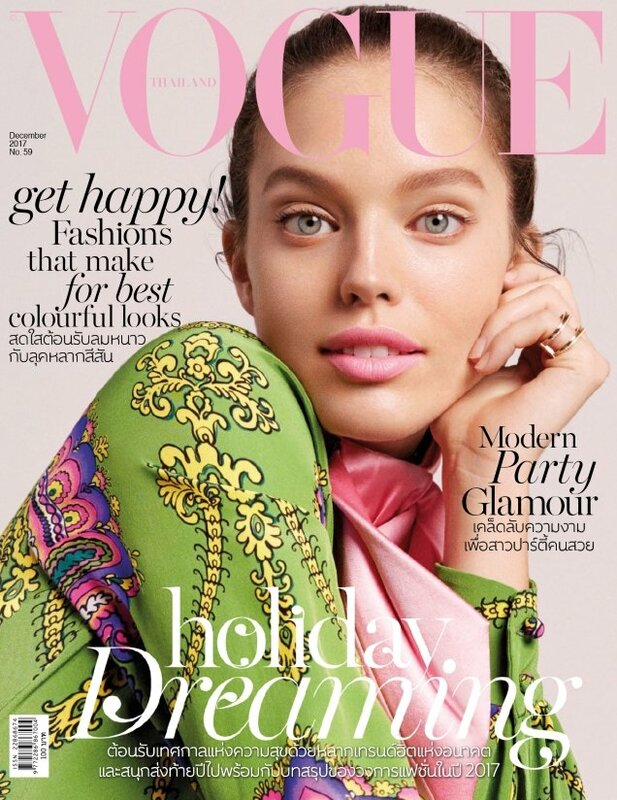 Vogue Thailand typically flies under the radar on our forums, despite managing to score the likes of Lily Aldridge, Rosie Huntington-Whitley and Kate Upton as cover girls. Emily DiDonato, who recently graced Vogue Turkey, helps the magazine close out 2017 on a high. Emily looks radiant and fresh in the cover shot wearing Gucci, photographed in the studio by Natth Jaturapahu. Our forum members were here for it. “YAYYY!!! So happy to see Emily. This does just look like a re-used Maybelline ad but gorgeous nonetheless. I can never get enough of that face,” wrote an elated Bobby153 the moment the cover struck. “So colorful and cute — and she looks like an actual person rather than an airbrushed flat outline,” tigerrouge admired. “LOVE it, she looks perfect, I love the colors. It’s such a sweet cover, I love everything about it and I am always happy to see Emily,” noted KateTheGreatest. “Such a lovely cover, she looks beautiful,” sighed a more than satisfied MDNA. “Really cute, love her, she’s so beautiful,” voiced forum member liaa. “SO PRETTY! I miss Emily,” said guimon and we couldn’t agree more. More Vogue covers for Emily, please! See Emily’s cover shoot, what else the issue has to offer and drop us a comment here.